One of the largest Tibetan Buddhist-based spiritual retreat centers located just an hour drive from Kuala Lumpur, Malaysia. Founded in 2012 and has been undergoing multiple construction phases continuously. The beautiful retreat center is a place for anyone desires to seek spiritual solace and for those who wish to have some time out of their daily city life to rest, relax, and recharge. The retreat center keeps its commitment to providing a safe environment for the practitioners and staff with the support of LILIN security surveillance solution systems. 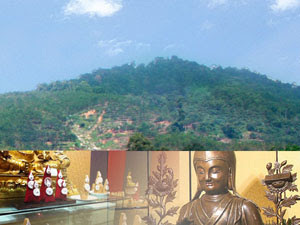 The center features various facilities and buildings situated in the deep mountains of Malaysia consisting of a stupa, butter lamp houses, chapels, a world peace hall where can accommodate 3,000+ folks, forest walks, an vegetable garden, dormitories, private residence, administrative office, a gift shop, classrooms, meditational halls, cabins for practitioners and/or students. 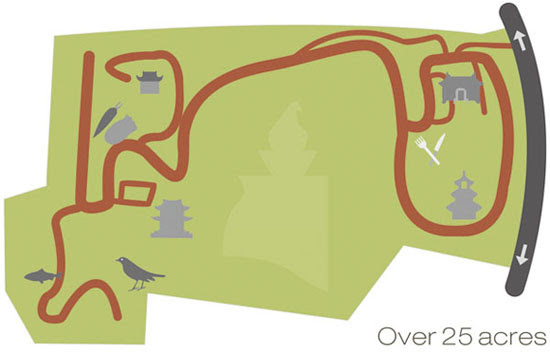 The areas of the center facilities occupy over 25 acres of land in total, and divided into 5 different construction phases. The entire project is expected to be completed by the end of 2014. Phase III construction was recently successfully completed along with LILIN-based surveillance system installed earlier this year. LILIN has been supplying the forest retreat center with standalone NVR security systems, IP cameras, and CMX software to a centrally managed integrated IP security system for video surveillance, intrusion detection and access control to ensure the safety of staff, students, and practitioners at the retreat center. The center is planning to install nearly 500 IP cameras for indoor and outdoor areas. Installed IPD2220E 2-megapixel cameras equipped with the WDR (Wide Dynamic Range) feature is able to ensure the identification of persons or objects of interest under high-contrast lighting conditions. Several LR7428X IP66-rated water-proof cameras installed that can resist damage caused by dust and rain, allowing to be operated in outdoor environments. 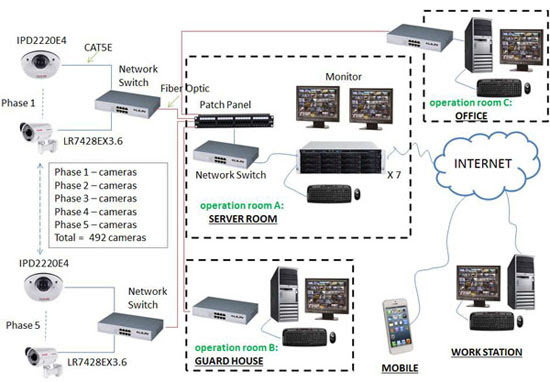 All IP cameras are connected to NVR 109s at operation rooms sending live streaming videos by means of optic fiber cables for total situational awareness via CMX 1072 central video management device. An offsite monitoring center — therefore eliminating the in-ground wires. CMX provides delay-free video image transmission in real-time mode, and it is easy to enable flexible configuration of transmission parameters. The retreat center is an ongoing project, and LILIN’s responsive and knowledgeable support experts with proficient experience in networking and surveillance fields will be helping the center to provide a quality surveillance technology deployment every step of the way. In addition, LILIN’s surveillance solutions are highly interoperable and future-proof.